For storing or transport, these long-wearing racks save space and time. Utilize vertical storage space by safely stacking these racks up to 5-high. Forklift portable for easy handling of loads up to 4000 lbs. Rugged construction features stand up to heavy industrial requirements... prevents product damage. Save time by moving more material with fewer moves. Side and end frames are available to prevent load shifting. 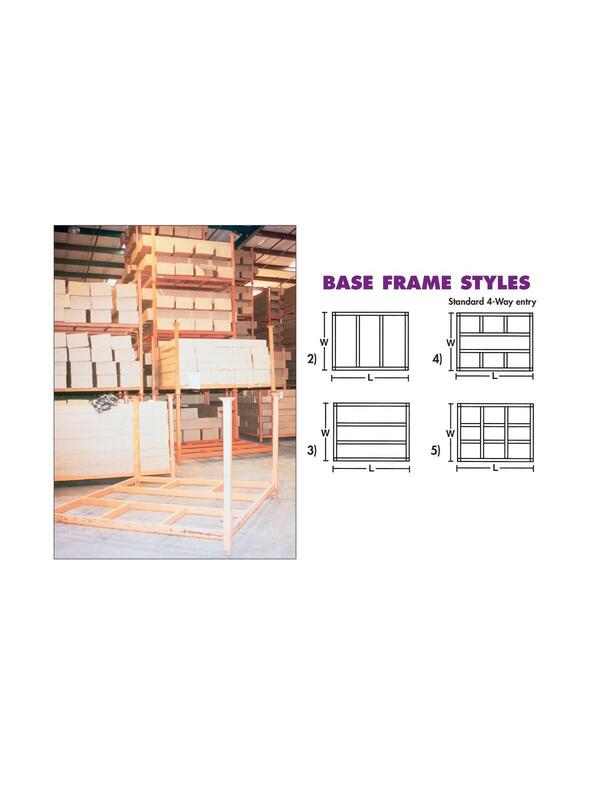 Prices listed are for base frame style 4. For other base frame styles and/or decking options, i.e. plywood, sheet metal, expanded metal, etc, call for pricing. Standard color - Blue. FOB Shipping Point. Designs for heavier capacities available. ADDITIONAL SIZES AVAILABLE Let us design a storage system to fit your requirements. Specifications needed: weight of load, no. 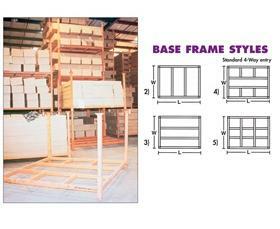 of units required, size of base, height of posts above deck, contents, stacked how high, base frame style and deck style. See Related Items tab for Portable Stacking Racks - Corner Posts. 1 - 4 Price Ea. 5 - 16 Price Ea. 17 - 25 Price Ea.